By now, we’ve all assimilated the idea that we’re being watched. Big corporations that own the infrastructure blocks of the web 2.0 ecosystem, like Google and Facebook, are essentially data collection, analysis and sale businesses. They’re selling you to their advertisers. Meanwhile, governments arrogate to themselves the right to peer over your shoulder while you read, watch videos, share information and talk with family and friends.They need to know what your cousin had for dinner, how you feel about your boyfriend and which potentially embarrassing medical conditions you’re panicking about having, in case you’re a terrorist. All of this means you need to start taking care of your own privacy, because the businesses that depend on your purchases for their revenues and the governments that depend on you for their legitimacy are not on your side. They’re the threat. We know that Facebook spied on private Messenger messages, and we know that virus makers exploit the weak security of common messaging apps to steal people’s data from most of the ones that you, like me, probably already use. So, if most of the commonly available messaging apps are leaky sieves or spyware in their own right, what should you be using? With its ‘where work happens’ slogan, Slack isn’t trying to hide what it’s about: it’s a messaging app for businesses, for keeping teams in contact so they don’t have to rely on email or on Facebook groups to communicate. And it works pretty well at that. It’s more secure than email, where all your messages are simply sent in plaintext across the internet; but Slack admin openly say in their policies that they can look at your conversations in certain circumstances. And the fact that it’s got a thriving third-party ecosystem of apps and bots means it’s certain to be attacked at some point and vulnerabilities in the API have already been detected. The ones we know about were fixed, but with 6 million users mostly in bigger businesses, it’s a target. Bottom line? 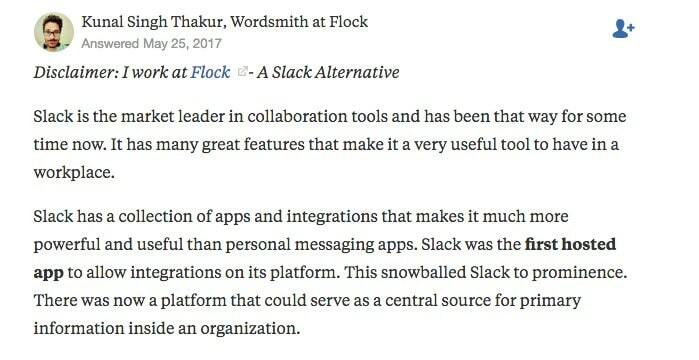 Slack lacks basic security features like end to end encryption, though there are bots that will add encryption to your Slack. Use it for business communications if you’re OK with that. Don’t trust that it’s secure. It’s not. 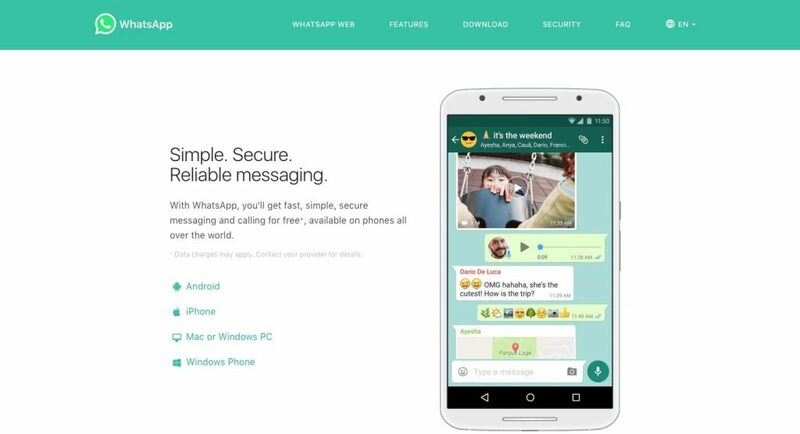 WhatsApp billed itself as a free-forever, encrypted messaging app. Maybe that was the original plan. But in February 2014, Facebook bought the company. In 2016 the service started sharing some information with Facebook, essentially in a bid to make money from a service that doesn’t run ads or charge users. Once again, the invisible value – data – is the coin of choice. WhatsApp execs, including those who moved to facebook when the company was bought out, were also concerned that Facebook would weaken WhatsApp’s end-to-end encryption to make it easier for businesses to use the tool as a Slack-like team conference, file sharing and chat system. What does this all mean for the user? Facebook can match WhatsApp and Facebook user accounts (even though it told the EU it couldn’t, earning itself a $125m (£94m, €110m) fine). The default settings on WhatsApp changed in 2016 to include provisions that users’ ID would be shared with Facebook. That info would be used to let businesses like your bank or airlines talk to you on WhatsApp, though there are still no third party banner ads. Bottom line: WhatsApp is a better choice than Slack for consumers and maybe for security-minded small businesses. It’s not as secure as it used to be, and it’s going to get less secure, not more secure, in the future. It does still offer end to end encryption, though, and a scandal concerning a potential exploit turned out to be overstated. Discord protects you from man in the middle attacks by using a client-server protocol to keep your IP hidden and your communications safe – including images and previews, which are proxied through Discord servers. 2FA and alerts if you log in from a new IP address help make Discord more secure. But it doesn’t use end to end encryption, and because all messages go through Discord servers they’re stored and can be theoretically accessed by law enforcement. 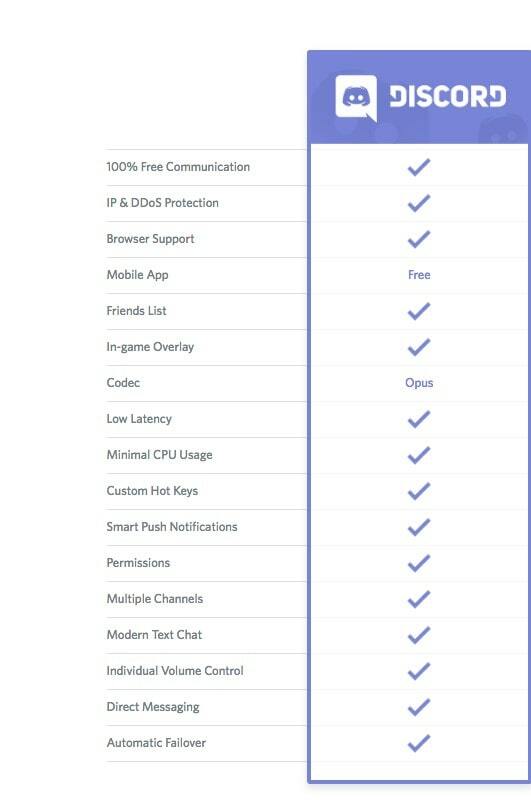 In theory, Discord staff don’t view your messages, but they could. 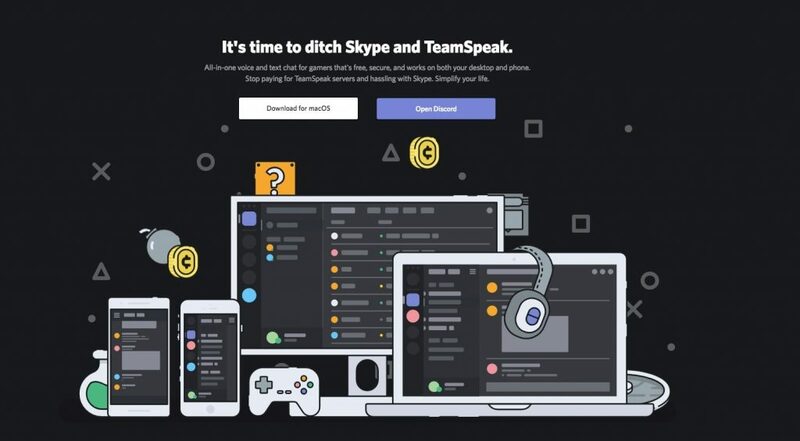 Discord follows the same type of interface design popularised by Slack, which is extremely clean and attractive, and doesn’t clutter the interface with unnecessary chrome and cruft. Bottom line: Discord is fairly new, and it’s the cool kid on the block. But it’s not optimized for security. It’s less secure than WhatsApp. Signal is from privacy researcher and campaigner Moxie Marlinspike, and it shows. End to end encryption? Check. Open Source? Check. Audited for backdoors? Check. Equally importantly, it’s available as an .apk file, meaning you can download and install it privately without going through the insecure Google Play or Apple App Store. 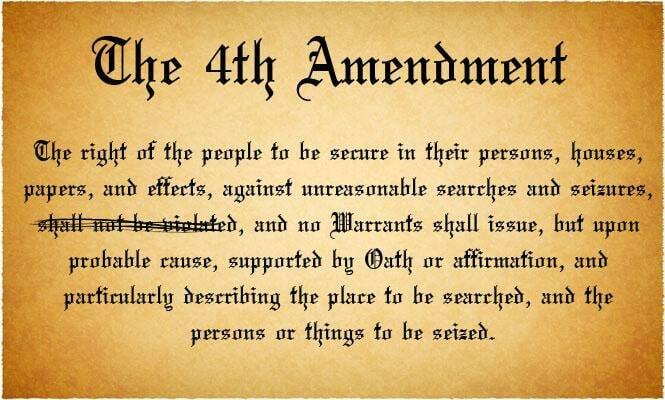 Both those companies partner with the NSA and will modify applications on request and without telling the end user. There’s no suggestion that Signal shares user data with third parties or any of the other common leaks. 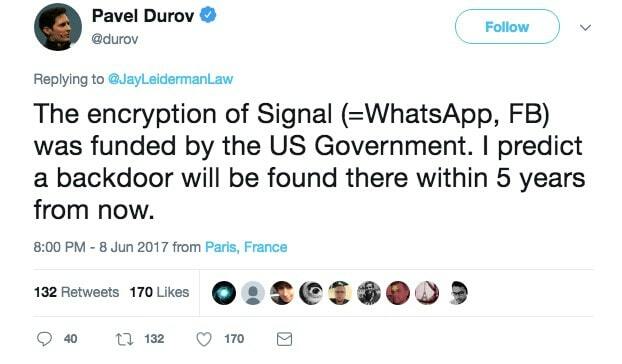 But the suggestion has been made by some that Signal might have a backdoor built in because it was created using a grant from the US government. Maybe. It’s certainly true that much of the privacy technology out there – including Tor and, yes, Signal – was developed for and by the spooky end of the military-industrial complex. 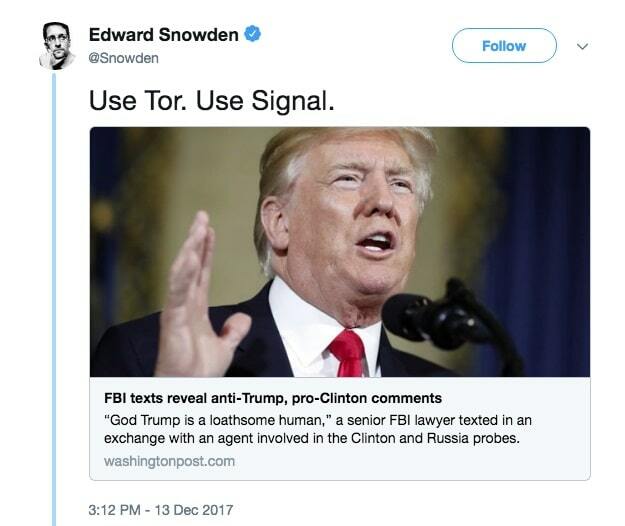 And Signal runs on Amazon Web Services – an NSA contractor – and while your messages might be invisible to Signal, you’re not. You still have to hand over your phone number and give the app unrestricted access to your address book. Even with its flaws, though, Signal is still one of the best and most secure messaging apps out there. 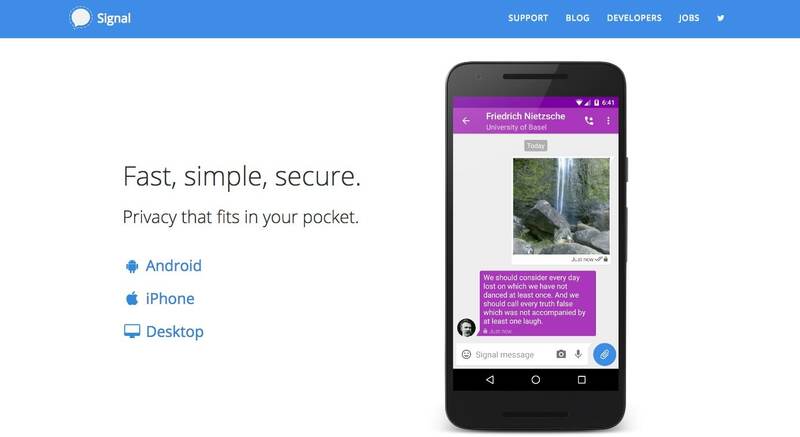 Remember, encrypted messaging apps only encrypt your messaging. You need to protect yourself when you’re browsing too, and that means you need a VPN. Check out our guide to the best VPNs on the market! Have a look at our second part of three part safe messaging app series called: Encrypted Messenger.